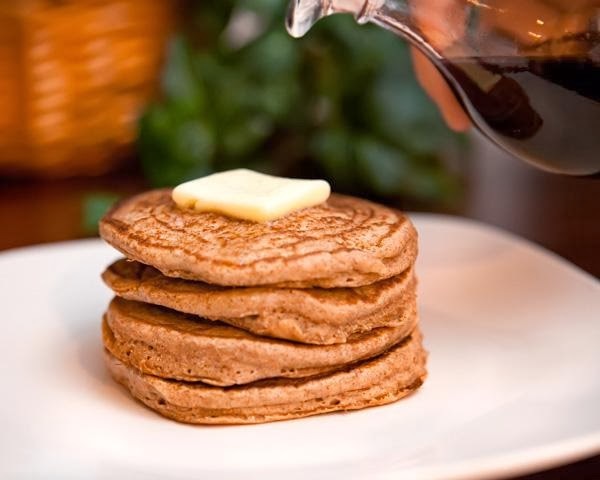 Home » Pancake » Weight Watchers 1pt Pancake - Best Ever! Weight Watchers 1pt Pancake - Best Ever! Well, after lots of searching I finally found a recipe for a LARGE, yummy, fluffy, high fiber, filling 1 pt pancake! Heat a large skillet or griddle that has been sprayed with non-stick butter flavored cooking spray. Spoon two good sized heaping tablespoon fulls of the batter into the skillet per pancake and spread out slightly. Let cook like a regular pancake and then flip, allowing to cook another minuet or so. Serve! Per pancake: 67 calories; 2 gm fiber; trace fat (1pt). for three pancakes: 202 calories; 6 gm fiber, 1 gm fat (3pts). 0 Response to "Weight Watchers 1pt Pancake - Best Ever!"